Christmas fish tank decorations can make your aquarium come alive for the holidays. 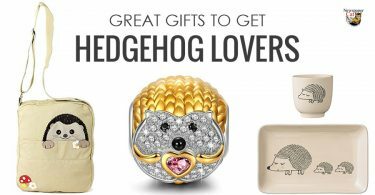 When it comes to Santa, cats and dogs usually get to have all the fun, but let’s not ignore our favorite little swimmers – yes, I’m talking about the fish in your fish tank. You probably won’t get to equip your goldfish or betta with an adorable Santa hat (how cool would that be? 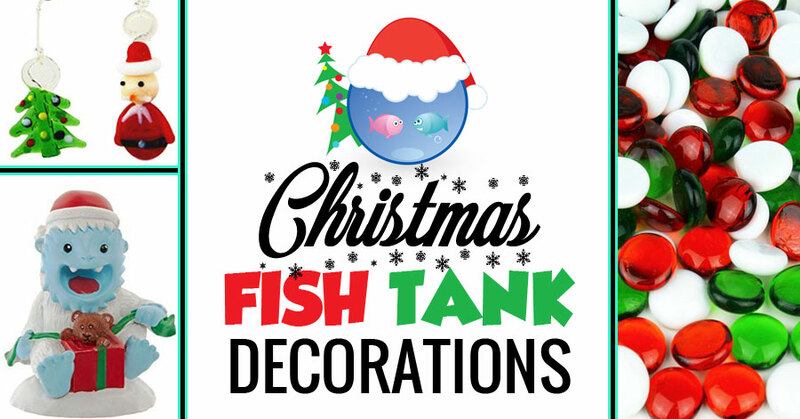 ), but you can definitely decorate your fish tank using Christmas themed aquarium decorations. Here are some of my favorite Christmas decorations for a fish tank. 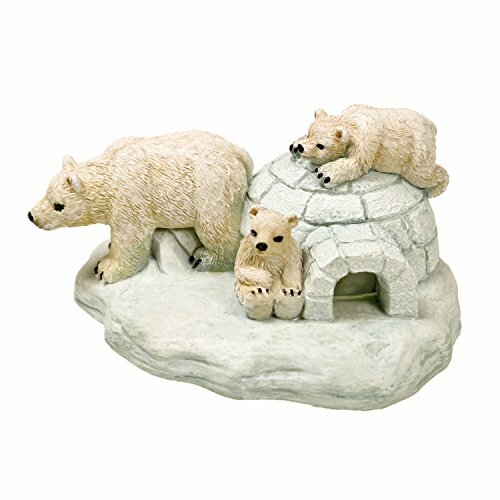 Polar Bear Island Exotic Environments Aquarium Ornament Found Here – To make it feel a little more like Christmas, decorate your fish tank with an ice and snow theme. This polar bear family aquarium ornament is adorable. Bring a little bit of the North Pole to your aquarium, and you can make Santa feel right at home. 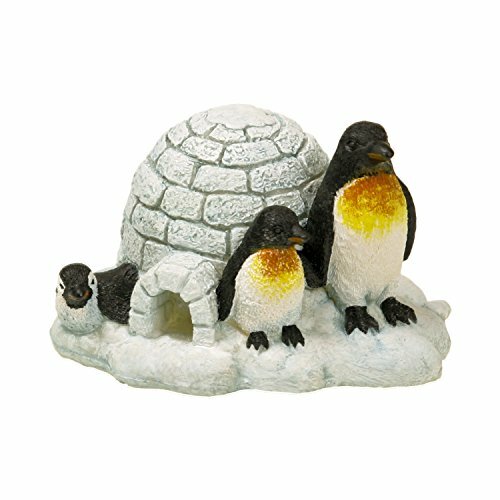 Penguin Island Exotic Environments Aquarium Ornament Found Here – And if any of your fish have an aversion to polar bears, this penguin family fish tank ornament is equally as cute. 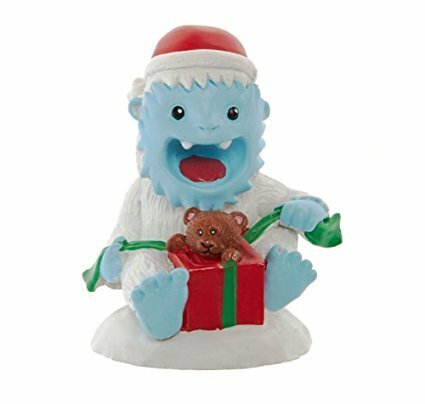 Top Fin Yeti Surprise Aquarium Ornament Found Here – I love this Yeti surprise fish tank ornament. It’s pretty much an exact replica of what I look like opening presents on Christmas morning! 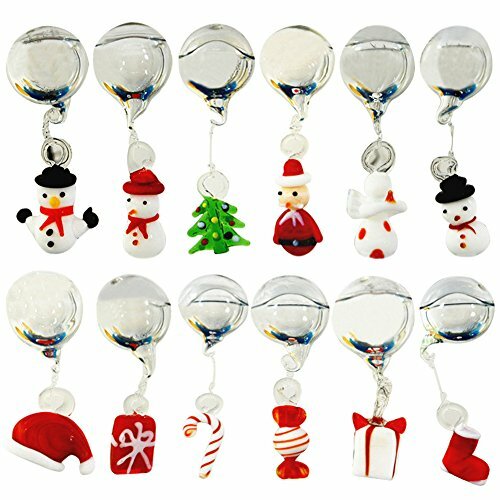 OMEM Christmas Aquarium Float Ball Ornaments Found Here – One of the easiest ways to decorate your fish tank for Christmas is by using these floating Christmas themed aquarium decorations. This set includes Santa, snowmen, Christmas trees, presents, candy canes, and more so there’s plenty of variety to make your fish tank look amazing. You could even detach them from their floats and use them to decorate an underwater Christmas tree. 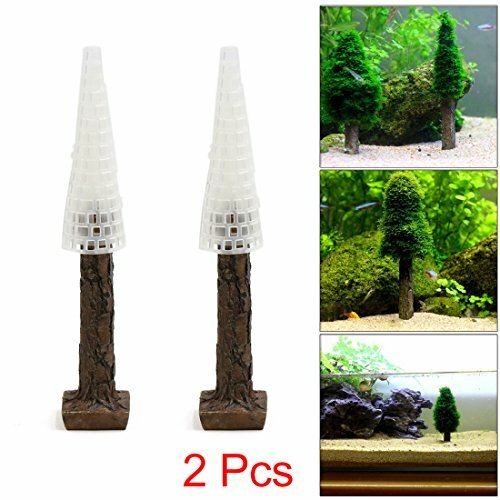 2Pcs Plastic Moss Christmas Tree Decorations For Your Aquarium Found Here – It doesn’t really feel like the holidays without a Christmas tree, so use these as a base to design your own Christmas tree using aquatic plants. 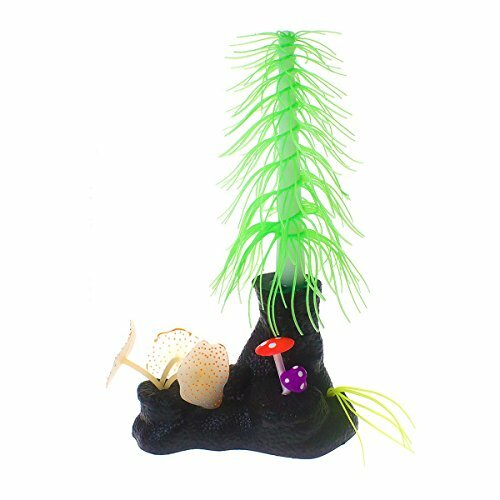 Saim Aquarium Artificial Decorative Christmas Tree With Mushroom Coral Plants Ornament Found Here – Another cute underwater Christmas tree idea. 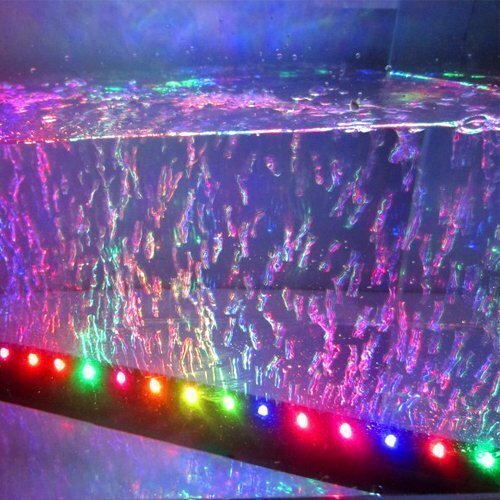 Candance®12inch RGB Energy Saving LED Fish Tank Aquarium Light Strip Found Here – Really put your fish in a festive mood with this multi-color aquarium lighting strip. Just don’t be surprised if your fish stay up all night having a dance off. 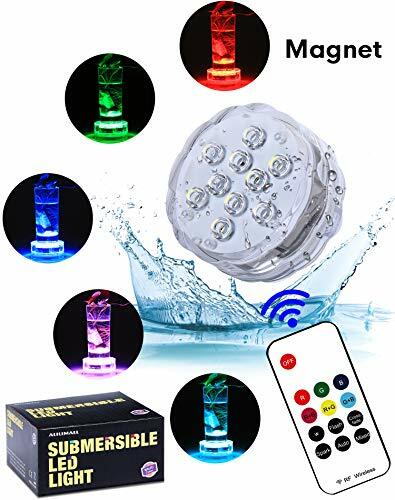 Waterproof Submersible LED Lights Found Here – Or try a few of these submersible LED lights in different colors. 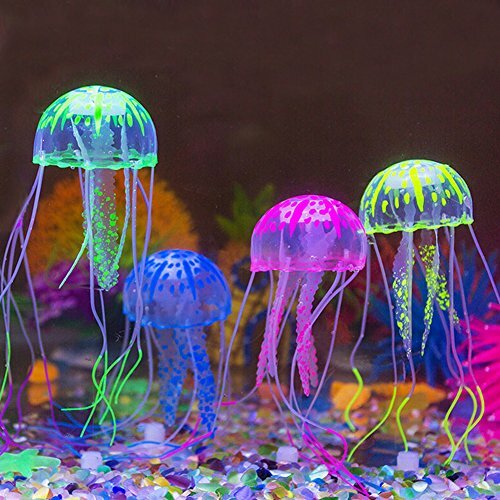 Glowing Jellyfish Fish Tank Decorations Found Here – For something a little different, bring color and a festive mood to your fish tank with these glowing jellyfish decorations. 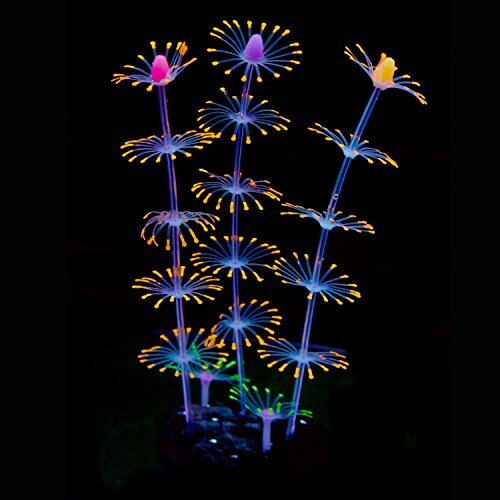 Uniclife Strip Coral Plant Ornament With Glowing Effect Found Here – Aren’t these artificial coral plant ornaments beautiful? These glow in the dark aquarium plants remind me of fireworks which makes them ideal for any Christmas and New Year’s themed aquarium. 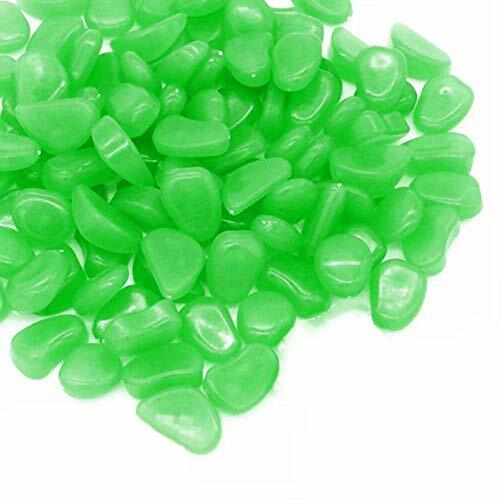 Aukora Glow In The Dark Garden Pebbles For Christmas Themed Aquariums Found Here – Probably the easiest way to decorate a fish tank for Christmas is to add red and green pebbles to the bottom of the aquarium. These have the added benefit of glowing in the dark, so the party doesn’t have to stop when the lights go off. 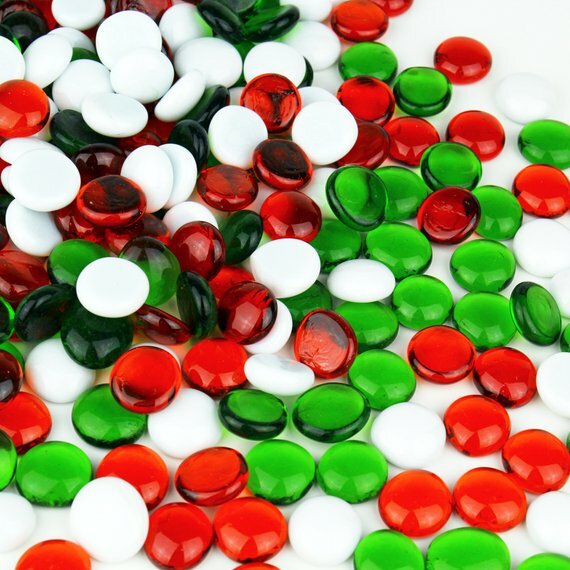 Red, Green, & White Christmas Themed Aquarium Gem Stones Found Here – These beautiful glass gems come in the perfect Christmas assortment of red, green, and white. They are aquarium safe Christmas decorations that really bring out the holiday mood when spread along the bottom of your fish tank. Analisahome 3D Christmas Aquarium Background Poster Found Here – Here’s one more simple idea. 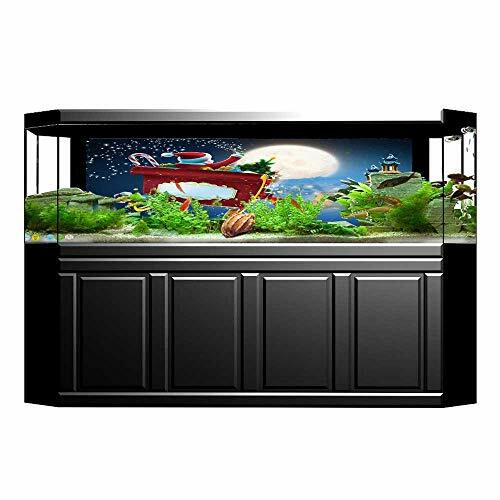 Add a Christmas aquarium background poster directly behind your fish tank. It immediately enhances the look of the tank, and you don’t even have to get wet to make it work! 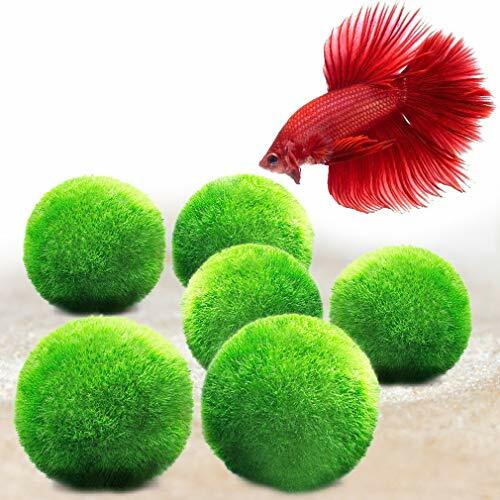 6 Luffy Giant Marimo Moss Balls Found Here – These beautiful moss balls can be strategically placed around a Christmas themed fish tank to add vibrant green colors or placed together in a circle to resemble a Christmas tree skirt. With a little creativity, there are a lot of possibilities. Best of all, they help keep your fish tank clean and your fish healthy by maintaining healthy nitrogen and phosphate levels in your aquarium water.